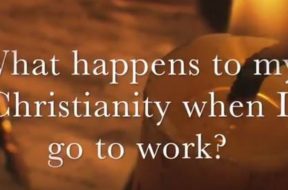 VIDEO: Moments that Matter – What Happens to My Christianity When I Go to Work? Would the people who see us on Sunday recognize us on a random Wednesday at our jobs? 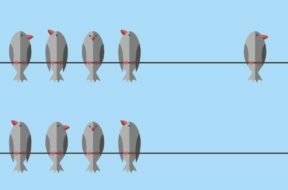 When we are faced with ethical dilemmas or something as "innocent" as office gossip, do we stand up for what is right? Hold our tongue and wait for it to be over? Or do we cross a line we can't quite see because we squint a little? Watch this short blog and then listen to the full podcast of the same name for practical ideas on how to maintain your focus on God while at work. 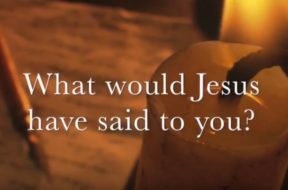 VIDEO: Moments that Matter – What Would Jesus Have Said to YOU? On our 2017 Christmas podcast, we took a unique approach to telling the traditional Christmas story by including various conversations Jesus had as an adult. We found a pattern of who he gave his time to and what secret reveals he shared to these special people. Watch this quick vlog and then listen to the entire program for a new perspective on how attentive this Savior of the World was to our human needs. 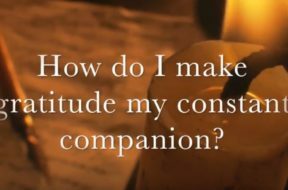 VIDEO: Moments that Matter – How Do I Make Gratitude My Constant Companion? What good is having thankfulness a part of my everyday life? What steps do I need to take to be more thankful? Watch our 2-minute vlog for an short answer and listen to the full podcast episode filled with tips and Scriptures. 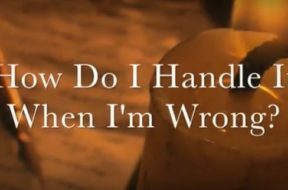 VIDEO: Moments that Matter – How Do I Handle it When I am Wrong? What course of action and what attitude should we have as Christians when we know that we have said or done something wrong? What examples are there in the Scriptures? 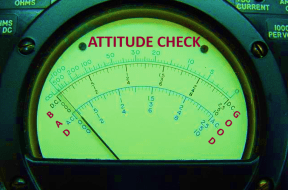 Does Christianity Require an Attitude Check? For a Christian, following Christ is supposed to be a way of life. It is supposed to dominate our thinking and actions, which means it is supposed to dominate our attitude as well. This can be a problem, because we often do not focus on our attitude – instead we just use whatever attitude we might have at the moment to dictate what our thoughts and actions will be. What drives our attitude? What makes, shakes or breaks it? How can we drive our attitude so it can drive us to Christ? Are You a Prejudiced Christian? In one way or another, prejudice has dominated human culture for thousands of years. 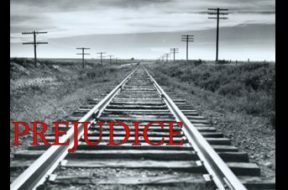 Because prejudice is an internal characteristic, it is often hard to detect it until it has had time to develop and finally show itself in our words or actions. As Christians, can we be shielded from prejudice? Do the scriptures teach us how to avoid it or how to remedy its effects? Is prejudice ever a good thing? Stay with us this morning as we plunge into this wildly difficult topic and try to get a grip on a true Christian perspective. Should We Ever Seek Vengeance? "Trayvon Martin"...mention that name and you unleash a flood of emotion and turmoil. This young man was tragically shot to death at age 17 and his death has raised a firestorm of controversy. Was it self-defense? Was it racially motivated? Should his killer have been arrested immediately? Will there be justice? These are all questions that we have no answers for – sorry! What we do want to discuss though, is the emotion, reaction and desire by some for vengeance. Is vengeance ever appropriate for us to take? What if justice is NOT served? Does vengeance give closure? What does it really mean to leave things like this in God’s hands? Are the Old and New Testament different on this? Stay with us as we look into this important question. Should a True Christian Have Attitude? Everybody has attitude. For some of us, it is much easier to see the attitude than for others. Take a teenager for instance – their attitude is written all over their face, their body language and their words. Well, there is good news here and there is bad news here. The good news is, we can choose our attitudes should we desire to do so. The bad news is most of us, rather than choosing, allow our “default” attitude take center stage. Jesus saw this very problem with his followers and did something about it. Stay with us as we look into attitude, Christianity and our choices to see if a true Christian should have attitude.